What’s the Coolest Chinese Film? I think the best and coolest Chinese movie is Raise the Red Lantern. It is a sad movie, the story is about family structure of early Chinese traditional society. 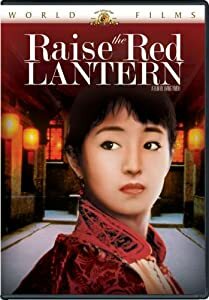 Raise the Lantern in China always represents a good thing, but in this movie the Red Lantern doesn’t represents hope but represents power. This movie animadvert Chinese traditional society of human nature, shows no fear and calm of the conquered. The another reason make me like this movie is because it tells us the truth, the true early China, the forces of darkness, the human nature during that time. On the other hand, this movie’s description method also inherited part of Lu Xun describes the China’s social darkness.